Quality Handmade Bronze Australian and NZ Souvenirs, Gold, Silver and Opal Jewellery. This is a gallery showcasing some of my products that are for sale. As I finish more products they will be added so please bear with me and check back regularly to see my range grow and expand and with luck there will be something there that catches your eye. Please be assured that all my products are hand produced in Australia so it is refreshing to find a place that says proudly 100% Australian Made. Postage is worldwide so do not hesitate in contacting me regardless of which side of the globe you are, I will be happy to help. All of the Silver items listed are .925 or Sterling Silver and the Silver has been sourced in Australia. The Opal is all Australian as well, which includes Boulder Opal, Jelly Opal, Black Opal and White Opal. 100% Australian Made Recycled Bronze Souvenirs as well as Hand created Australian Opal and Sterling Silver "One Off" Pendants. 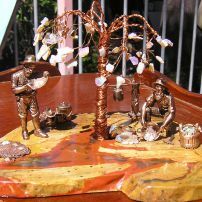 I Handcast locally in Wodonga an extensive range of quality made Bronze Souvenirs. These include Australian Icons like Ned Kelly, Mining Scenes featuring mining accessories, Native Animals like the Kangaroo, Koala, Frilled Neck Lizard and Echidna as well as having a very special friend from my Homeland New Zealand, the Iconic Kiwi. The other range I handcast is Sterling Silver and Gold. This includes Silver "One Off" Pendants I have hand designed and created to go with the Australian Opal Gemstones that I hand cut and polished. 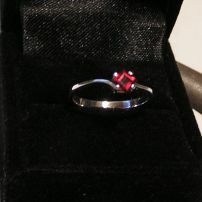 Also there are Silver Rings with Natural Gemstones like Rubies and Sapphires as well as the odd unique Dress Ring i.e Frog, Butterfly, Pearls. 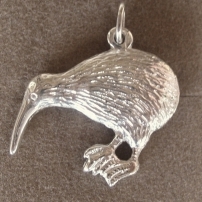 Also included in the mix are some Silver and Bronze Snowflakes in Pendants and Earrings as well as a couple of Traditional Moari Symbols, to keep the Kiwi company. At this stage I am open via Appointment from home but I am planning to open a small shop soon to accommodate my growing business and very loyal Clientele. Opening hours are via appointment only.